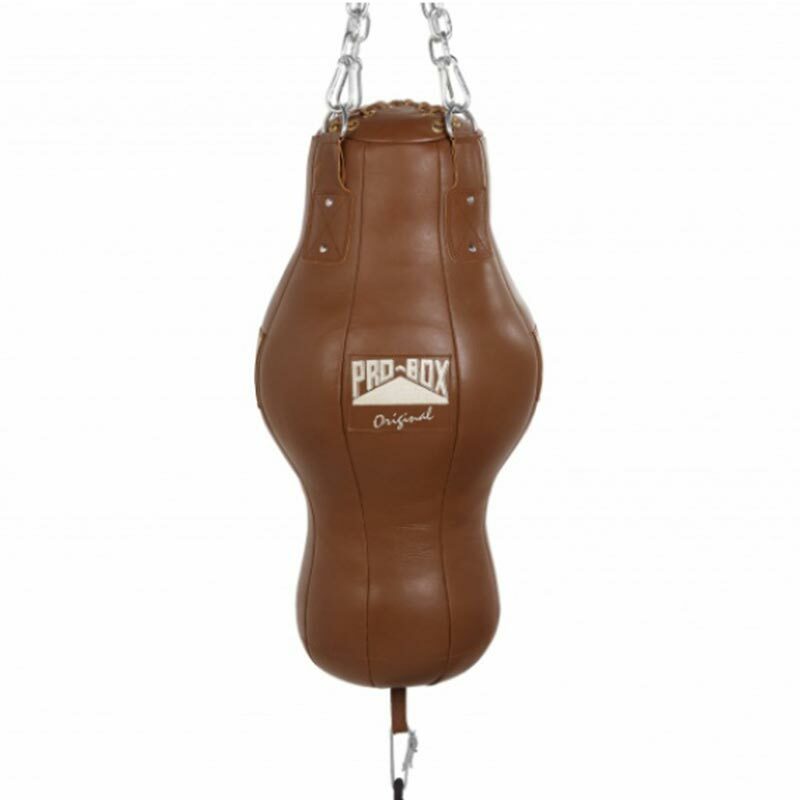 The Pro Box Leather 3 in 1 Punch Bag Original Collection is constructed from quality cow hide leather. Combining the benefits of a straight punch bag, floor to ceiling ball and maize ball, this bag helps to focus on upper and lower body strikes. Featuring a 25mm inner foam jacket, this delivers a softer more responsive feel to the bag and reduces the impact of shock to your wrist and hands. An indispensable piece of equipment for the gym. Engineered for intense commercial use. Comes complete with a strap for the base of the bag to be tethered to the floor. (Please ensure if you do this, ensure that the strap is loose as it will tighten on impact). Diameter (at widest point): 14"